Shoreham Rowing Club Captain Garry Saunders has been named as British Rowing’s West & South East Coast Volunteer of the Year 2018 at its recent National Volunteer of the Year Awards. 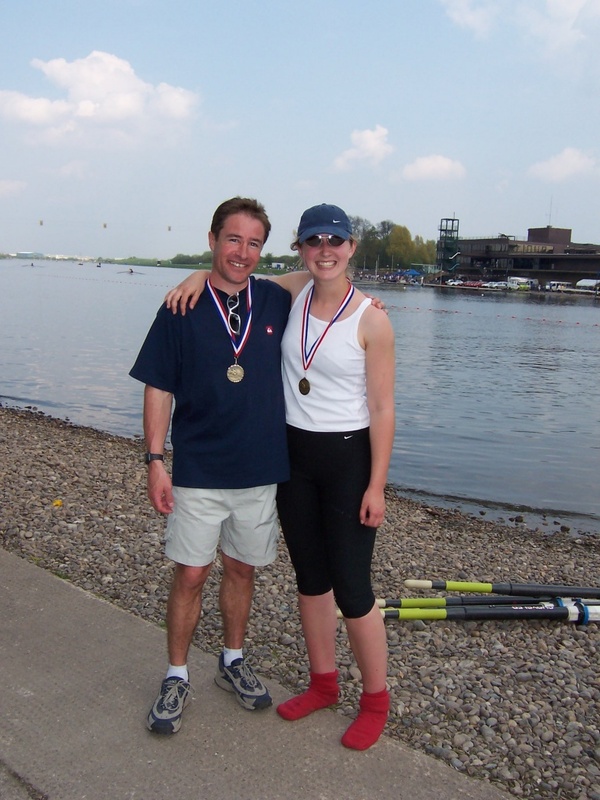 The Awards, run by the UK governing body for rowing aims to recognise the efforts of an army of volunteers around the country who are integral to the success of the sport at grass roots level and beyond. 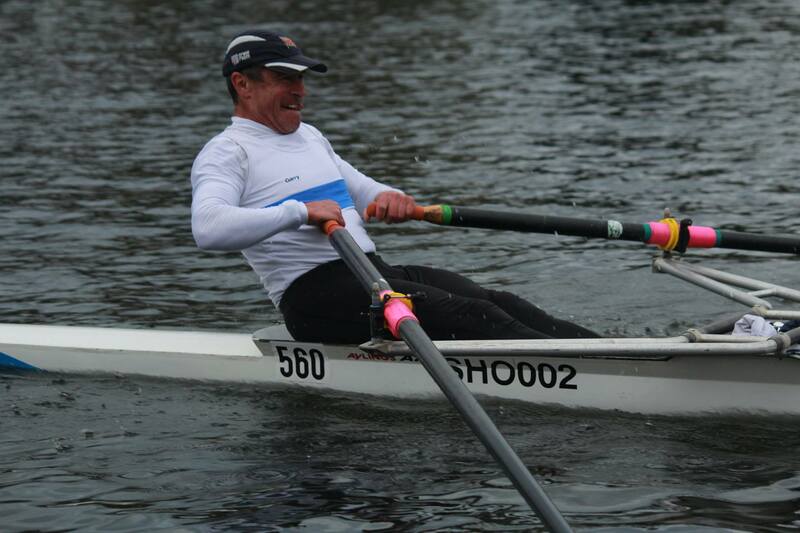 Saunders, 51, who has been a member of Shoreham Rowing Club since he was 16, has been the driving force behind several of the club’s recent junior rowers attending trials to join the GB junior rowing team – with past Shoreham GB successes including a gold medal at the Youth Olympics in Sydney in 2013 and a bronze medal at the Coupe de la Jeunesse in Amsterdam in 2006. Saunders collected his award on Monday at a special ceremony and reception at the iconic River & Rowing Museum in Henley-on-Thames. Presenting the awards were Mark Davies (Chair of British Rowing), Phil Hornsey (Director of Membership & Rowing Community at British Rowing), Sarah Harris (Head of Education & Training at British Rowing) and Olympic silver medallist Zoe de Toledo. Hornsey said of the awards “It was a real privilege to be among so many of the people who make rowing the sport we all love. On behalf of the rowing community I’d like to say how grateful we are for the passion, commitment and energy of not just our awards winners, but of every volunteer and coach in rowing, at every level of the sport – you really do make it all possible”. Shoreham town centre once again played host to the annual Head of the Adur rowing race on Saturday. 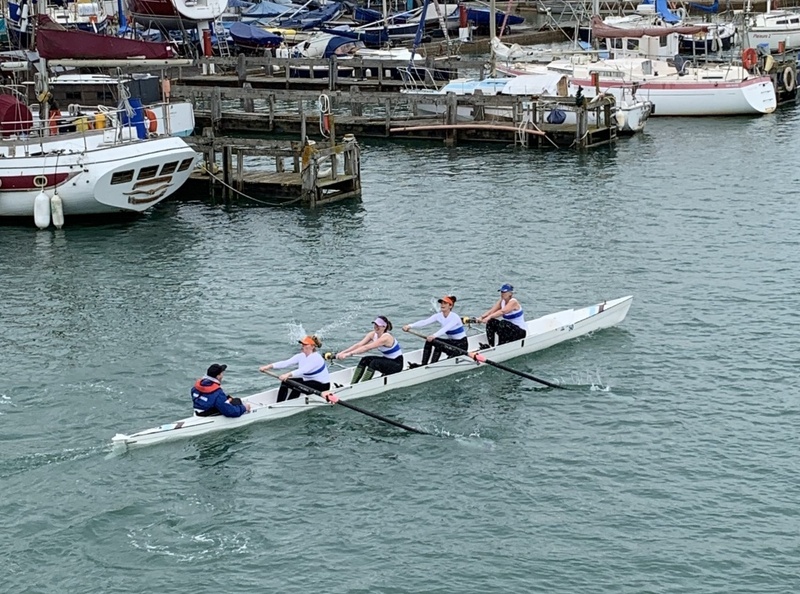 Competing among over 65 crews from across the Kent and Sussex coast, Shoreham Rowing Club shone on home water to secure six wins, including the much-coveted fastest coastal sculler of the day title. 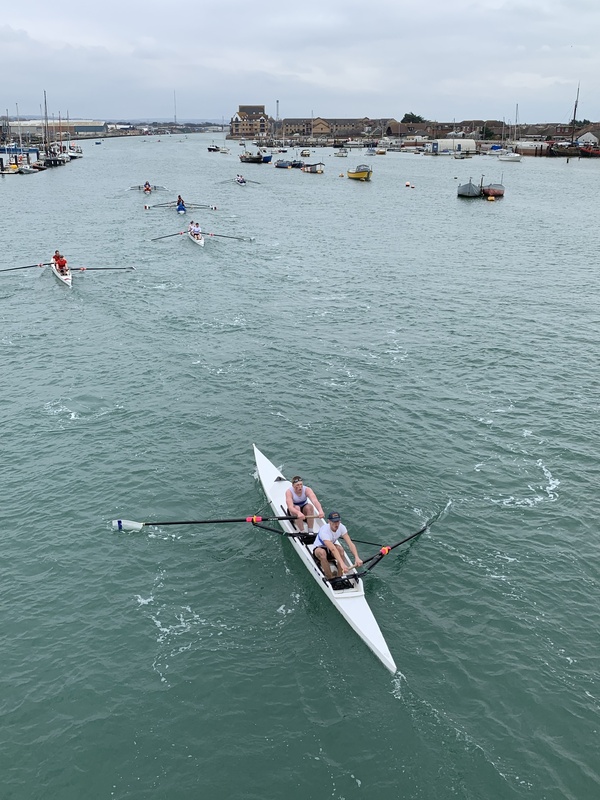 Organised by Shoreham Rowing Club, the race, held in two divisions either side of the high tide, saw crews racing a 3.5km time trial down the River Adur from Shoreham’s iconic wooden toll-bridge to the RNLI station at the entrance to Shoreham Harbour. The first event of the Coast Amateur Rowing Association’s 2019 calendar, the Head of the Adur offers the first chance for competing clubs to pitch themselves against each other and see how effective their winter training has been. For the home club, the day was particularly successful, with Shoreham’s ladies’ squads once again dominating. The first division saw the women’s pairs take on a fast in-flooding tide. Excellent rowing against a strong stream saw Shoreham’s senior ladies pair of Roxanne Addison and Melissa Shaw win their category by a comfortable margin over Worthing Rowing Club, with Shoreham also coming in third. In the junior women’s category the Shoreham pair of Anna Hollingdale and Bella Watton held their nerve in a close race with Worthing to take the win in their first competitive event together. The second division, raced with the tide, offered more favourable conditions for the competing crews. Once again Shoreham’s senior ladies four showed their prowess, winning by over a minute against crews from Worthing and Herne Bay. Unbeaten in the last six years, this year’s senior line up of Melissa Shaw, Charlotte Pigg, Gemma Stoner and Roxanne Addison, coxed by Sally Hills, will be a force to be reckoned with as they enter the main racing season this year. 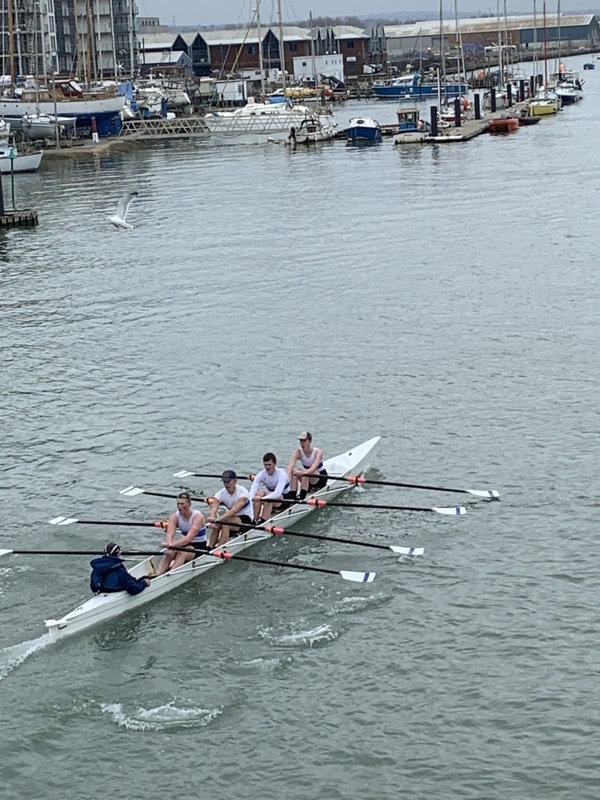 There was also success for Shoreham’s newest members, with the novice ladies four of Annie Redfern, Aimee Graville, Jamie-Leigh Williamson and Linds Taverner, coxed by Toby Strevens, keeping cool heads to win in their first ever race. Shoreham’s under-16 boys squad also showed their strength with the quad of Jack Bates, Dan Bates, Xav Grassie-Clarke and Kirkland Childs, coxed by Garry Saunders winning comfortably in the first division. Jack Bates, a recent GB junior trialist, then paired up with Grassie-Clarke to win the mens junior pairs category in the second division. Fastest sculler of the day went to Shoreham’s Tom Faith in the second division, who completed the course in a time of 13:04. The fastest time of the day, 11:55, went to Bexhill Rowing Club’s Mark Mitchell and Kieran Cahill racing in a river double scull (a quicker class of boat than its coastal equivalent). Shoreham Juniors are South Coast Champions! 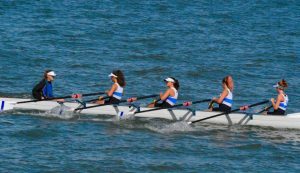 Shoreham Rowing Club has rounded off a hugely successful 2016 season by winning the Ladies Under-16 quadruple sculls race at the South Coast Championships, held on Saturday 3rd September in Herne Bay, Kent. The four Shoreham girls, Verity Millar-Sarahs, Phoebe Mercer, Portia Smith and Delphi Coombes-Cowell coxed by Ezra Hulme, led their race from the start, maintaining their power and composure to see off challenges from six other clubs from across the south coast. Undefeated in the quad for two years running in Kent and Sussex, their victory on the larger South Coast stage was very well-deserved. Shoreham Rowing Club vice-captain Sarah Faith says “Our J16 girls have worked so hard this year, racing multiple events at each regatta, dedicating themselves to their training and proving that they will be key members of Shoreham Rowing Club for years to come. They should be very proud of their achievements this year – we all are – they continue to inspire their peers to succeed and I have no doubt that we will see them winning again at South Coast Championships in the future”. Hove seafront was the setting for an exciting day of racing as crews from across Kent and Sussex descended on the city for Brighton & Hove Coastal Rowing Regatta. 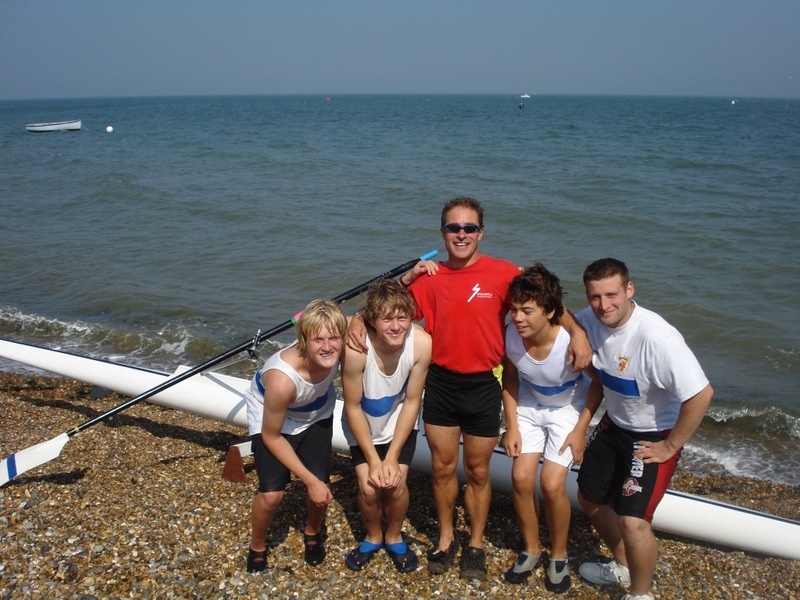 With Brighton and Hove Rowing Club closing in 1994, the historic event is now organised by nearby Shoreham Rowing Club which counts a number of Brighton & Hove residents among its members. 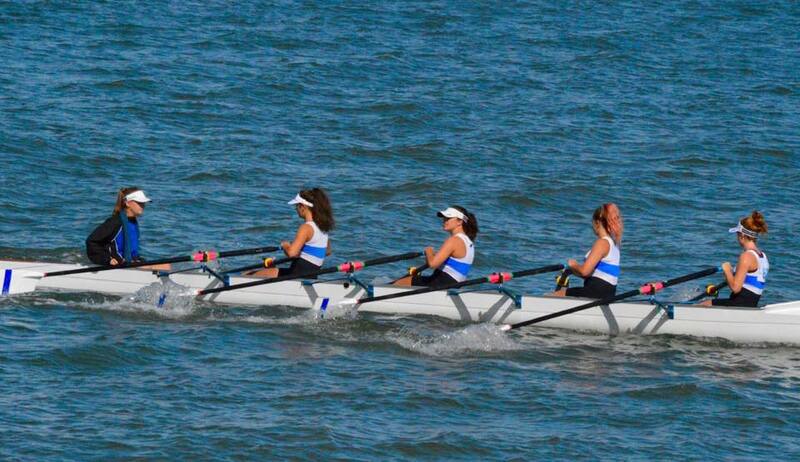 The regatta was the fifth event in the 2016 Coast Amateur Rowing Association racing season, contested by clubs along the Sussex and Kent coast from Southsea to Herne Bay. Although the sun was shining and sea conditions were calm, the stiff northerly wind made racing challenging, with crews struggling to keep their boats tucked into the more-sheltered waters near the beach, and to line up on the start. It was the home club Shoreham which took home the lion’s share of the day’s wins – an impressive 10 in total as the club extends its dominance in the Coast Amateur Rowing Association Grand Aggregate, awarded to the club with the most wins across the 13-regatta season. Once again Shoreham’s ladies crews performed extremely well, dominating the women’s events throughout the day and winning every ladies’ status race – winning the ladies novice fours, taking first and second in the ladies under-16 quad sculls, first and third in the ladies junior fours, first and second in the ladies senior fours, first and second in the ladies senior pairs, first in the ladies junior pairs and first, second and third in the ladies double sculls. The club’s men’s squad also continued their return to form. A convincing victory for Shoreham’s men’s junior four of James Tilley, Max Huxtable, Cian Kennedy and James Mouland coxed by Sally Hills edges them ahead of Deal in the 2016 CARA junior fours championship and the club’s Novice Four of Alex Apps, Matt Randall, Alfie Scott and Eamonn Wilkinson coxed by Max Huxtable won their second race of the weekend to progress up to the higher Junior status in coming regattas. The club also took home the Ladies Aggregate and the coveted regatta Grand Aggregate trophies at the end of the day, and saw young member Isobel Tugwell named the regatta ‘Cox of the Day’ for steering a fantastic course in two of her races. In other events one of the most exciting races of the day was the men’s senior single sculls, where a full-on sprint for the line saw Bexhill and Deal neck and neck, with Bexhill the eventual winner by just a couple of inches. Shoreham Rowing Club’s vice-captain Sarah Faith says “We’d like to extend our thanks to our main regatta sponsor Marval Marine Services, our other sponsors and all the volunteers who gave up their time this weekend and without whom it is not possible to run the event. 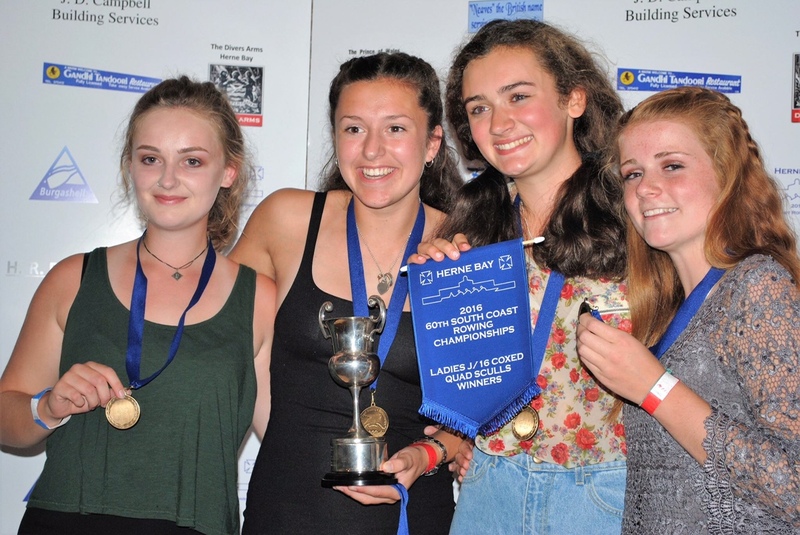 “For Shoreham, this weekend has been one of our most successful in recent history – the well-deserved result of months of hard training, and a fantastic club spirit which is buoying up all of our crews, at all levels. “We’re excited to see where this season will take us”. For more information about the Coast Amateur Rowing Association visit http://ww.coastara.org. SOUTH COAST CHAMPIONSHIPS -what a weekend! Shoreham Rowing Club shared a post. The first ever Commonwealth Beach Sprint Regatta is coming to Sandbanks Beach, Poole, this August.